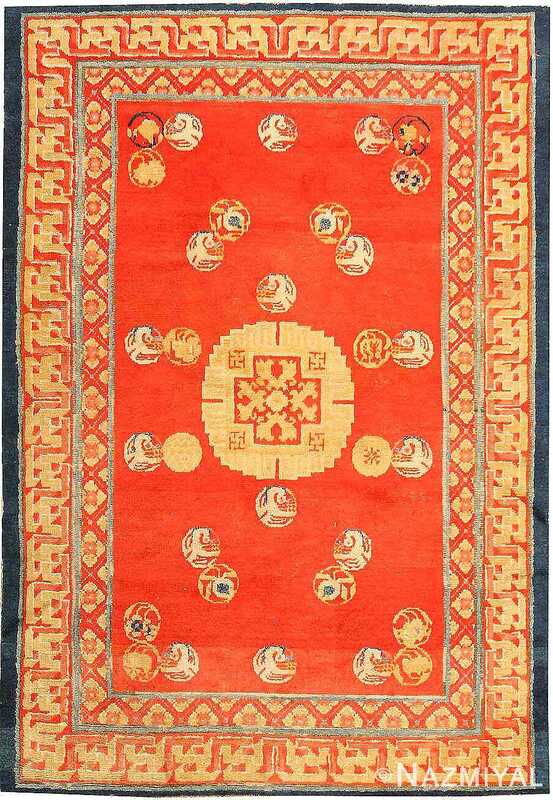 Antique Pictorial Chinese Animal Carpet, Country Of Origin: China, Circa Date: First Quarter of the 20th century, 1920’s — Stunning artistry and flawless elegance emanate from each detail of this ethereal Chinese carpet. 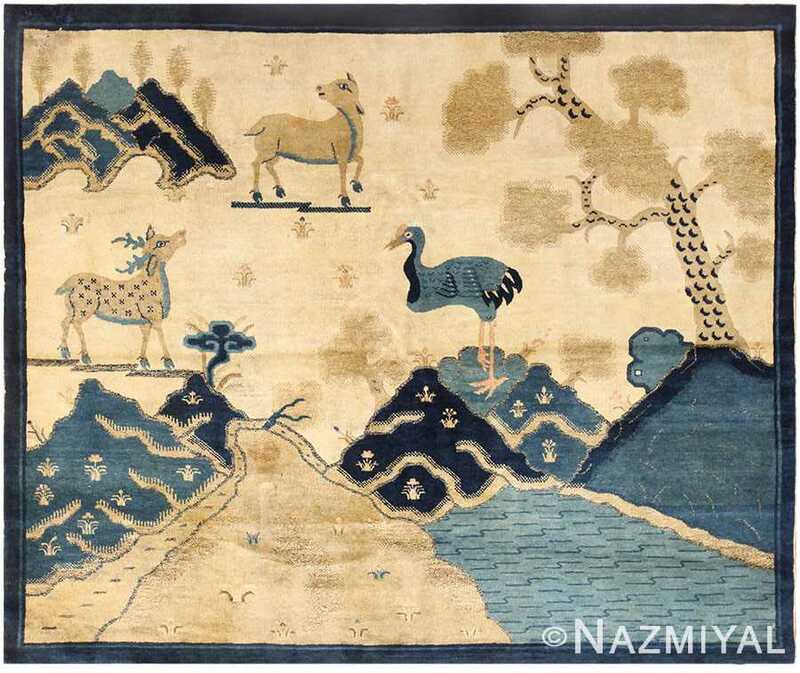 Rendered in the traditional style of rural Chinese tapestries, the piece displays a stylized natural tableau of water, hills, trees, and animals arranged along a winding path that fades in the horizon. Depictions of the deer, calf, and heron display stunning clarity and deceptive simplicity even as the figures inspire a gentle sense of the surreal. 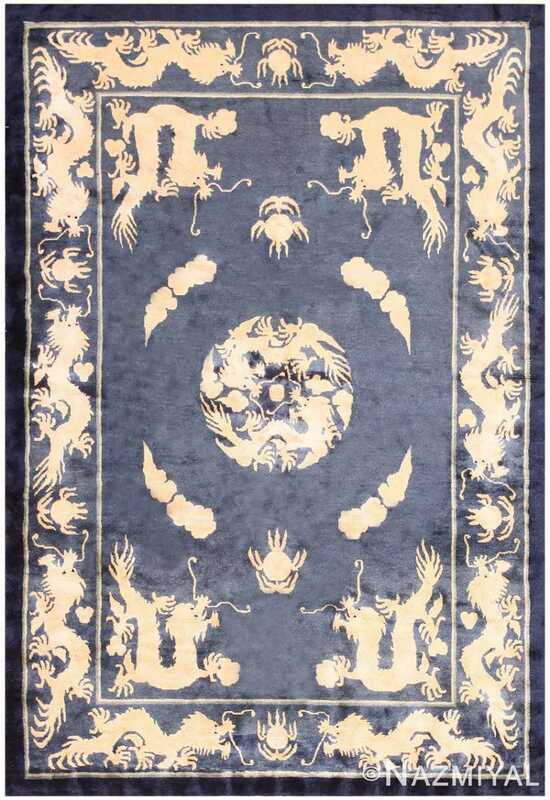 Exceptional artistry rendered in soft, misty hues of gold, earth, and finest blue imbue this antique rug with a truly singular quality of a dream. Elegant and softly dramatic, this lovely work presents a unique and irresistibly striking artistic statement. 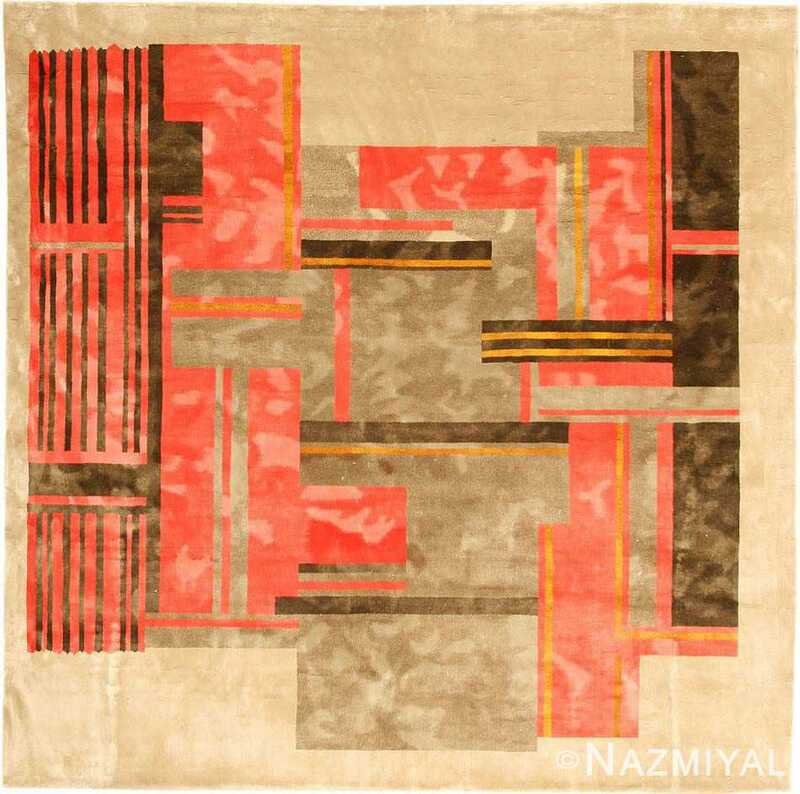 Woven with a pleasing combination of neutral earth tones and coral reds, this Art Deco carpet from China uses contemporary designs that were far ahead of their time.